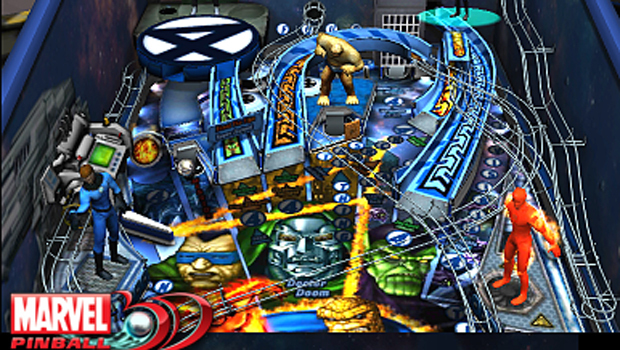 Zen Studios is keeping the pinball coming and will release Marvel Pinball 3D for the 3DS later this summer. Containing four of the tables previously released for the PS3 version of Marvel Pinball (Blade, Iron Man, Captain America, and The Fantastic Four), it will retail for $7.99 (€7.00 in Europe) and, like the studio's prior 3DS release, will be sold through the Nintendo eShop. I'm thrilled that more tables are coming to the handheld, but this is basically a list of the Marvel tables I don't particularly enjoy playing, personally. Where's The Amazing Spider-Man, Zen? Why you gotta be like that?